There's nothing like a hot and humid Summer day in Myrtle Beach to have you begging for some relief! If you're looking to enjoy your vacation time outside, then try out one of the Grand Strand's thrilling water parks, and stay cool all Summer long! The towering slides of Myrtle Waves have long dotted the skyline along Highway 17 in Myrtle Beach. Located near Broadway at the Beach, this park has been cherished by locals and visitors for more than 3 decades! You'll find all types of thrills at Myrtle Waves, from tube slides to raft rides to family favorites. Hint: Go to Myrtle Waves midweek for Wednesday Movie nights, where the park plays a family favorite each week. Located on the south end of the Grand Strand, Wild Water and Wheels Water Park includes all of the fun of water slides, along with treasured additions like mini-golf and go-kart racing. For the little princess in your life, Wild Water and Wheels offers up Mermaid Experiences, from classes to parties, as well as portrait sessions. Stop by this fun park when you're in the Surfside Beach area during your beach getaway! Brand new in 2017, Shark Wake Park in North Myrtle Beach is a little different from the other parks on this list. Instead of featuring sky-high slides and acres of pools, this aqua park is situated on a lake in the North Myrtle Beach Park and Sports Complex and gives participants the chance to take part in cable wake-boarding! No personal gear is necessary- just show up, sign the waiver, and the professionals at Shark Wake Park will take care of you from there. 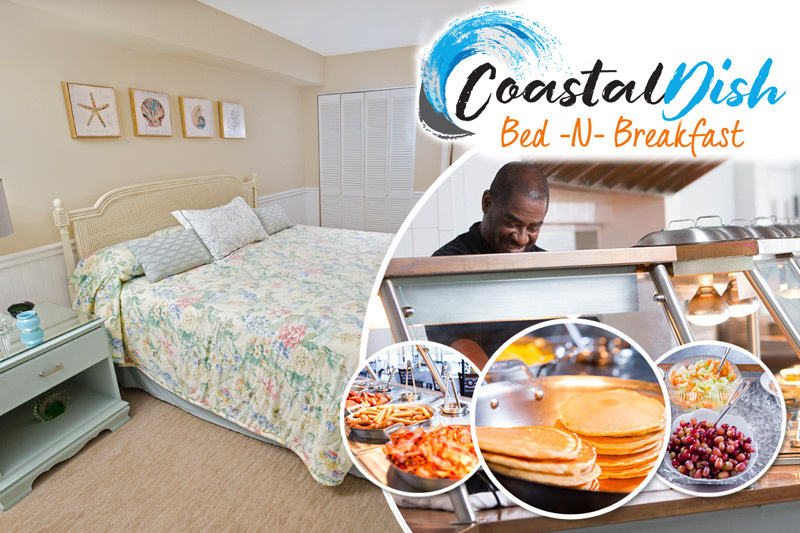 Myrtle Beach's only oceanfront water park is Splashes, located just across the street from Family Kingdom Amusement Park at 300 South Ocean Boulevard. At Splashes, revelers of all ages can enjoy speed slides, lazy river, water flumes, and more, all alongside the backdrop of the stunning Atlantic Ocean. You'll love experiencing this one-of-a-kind water park during your next Myrtle Beach vacation! When you're battling the South Carolina heat and looking for a way to cool down, try out one (or all!) 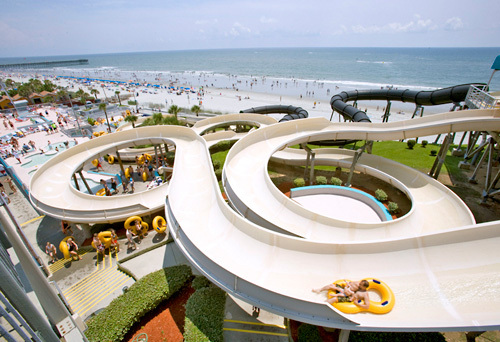 of these fabulous Myrtle Beach water parks.